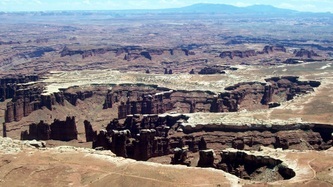 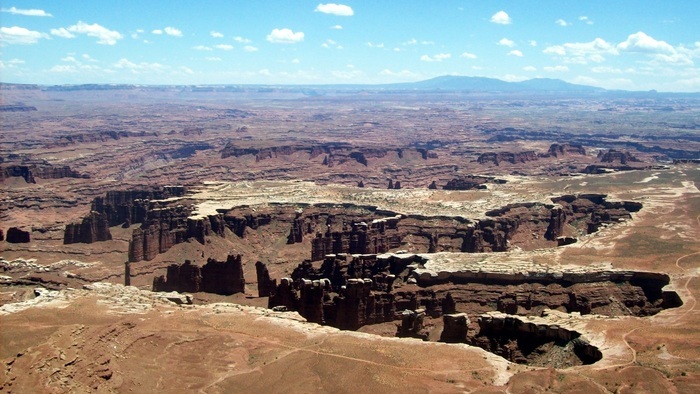 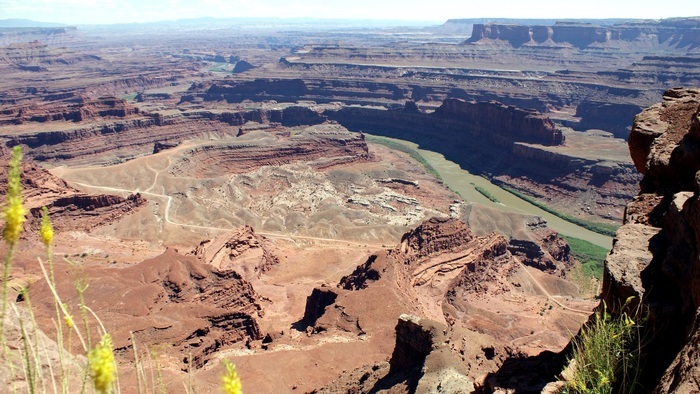 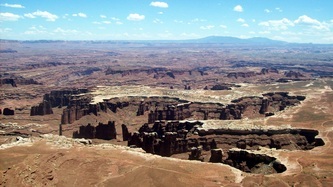 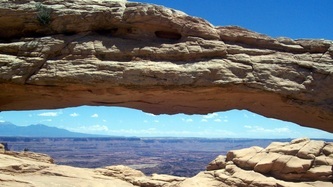 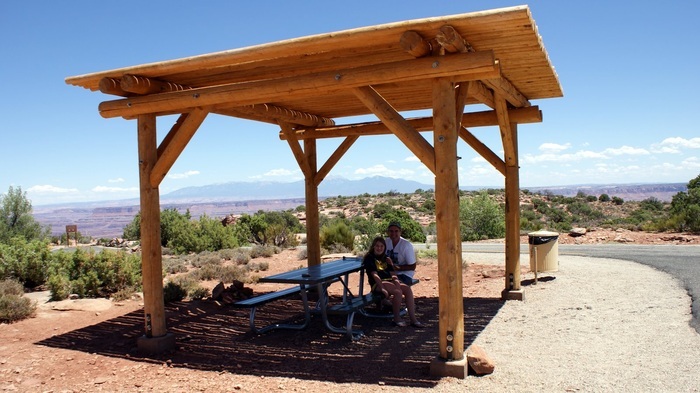 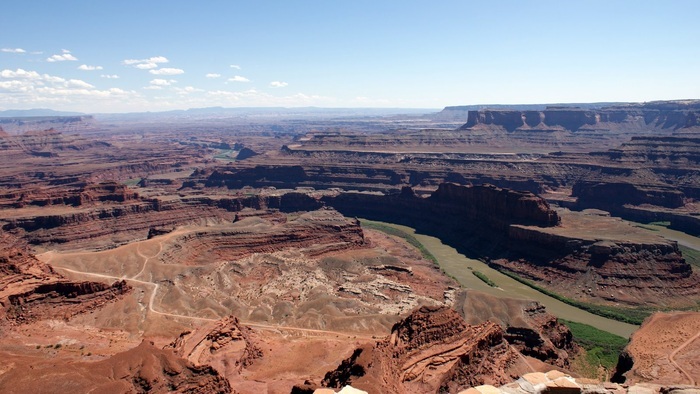 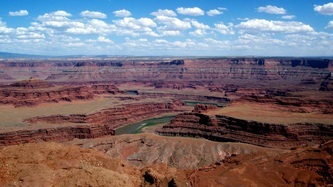 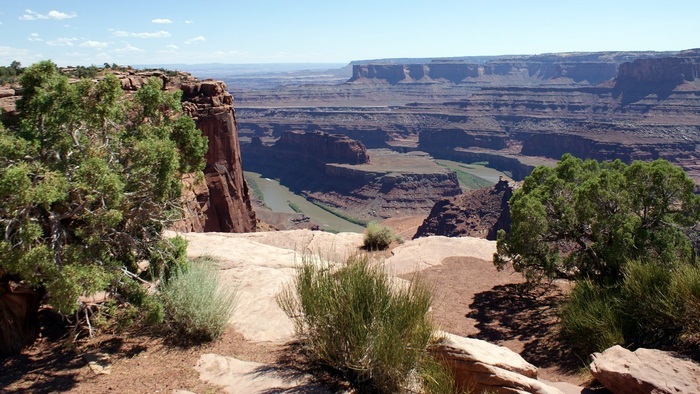 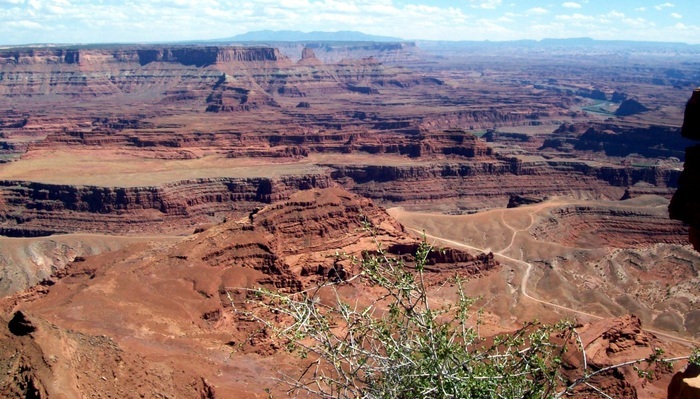 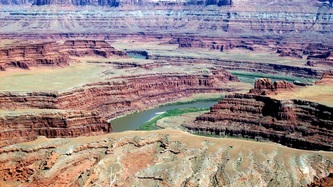 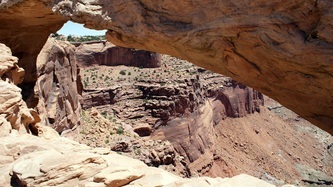 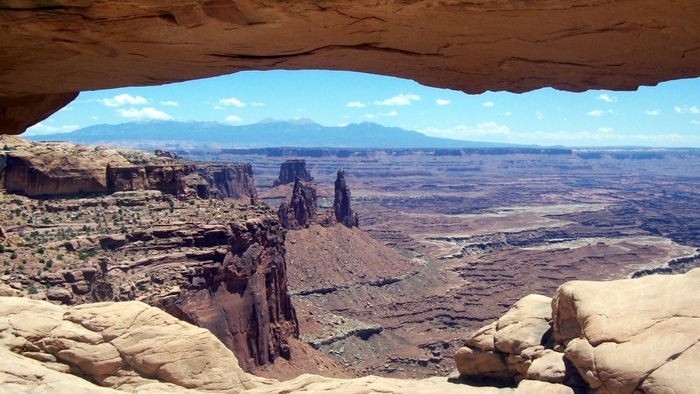 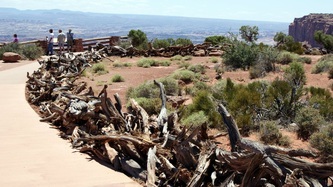 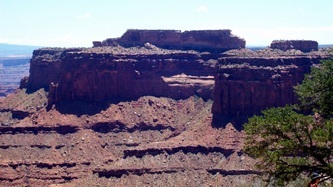 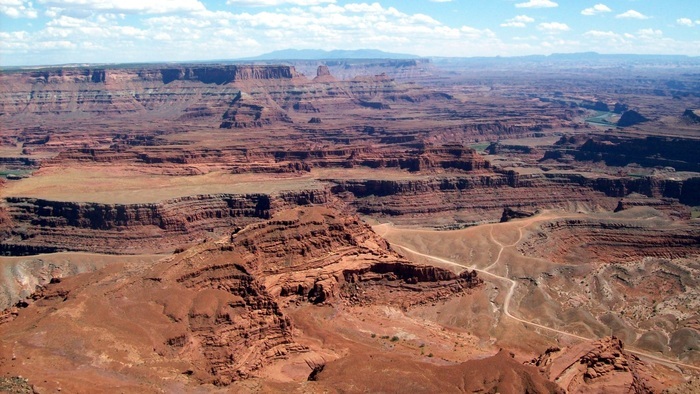 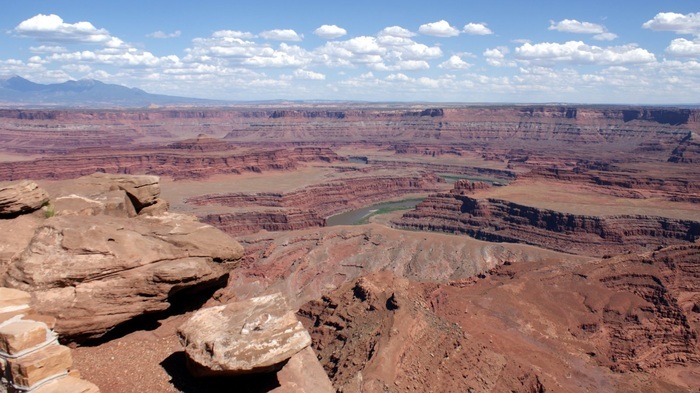 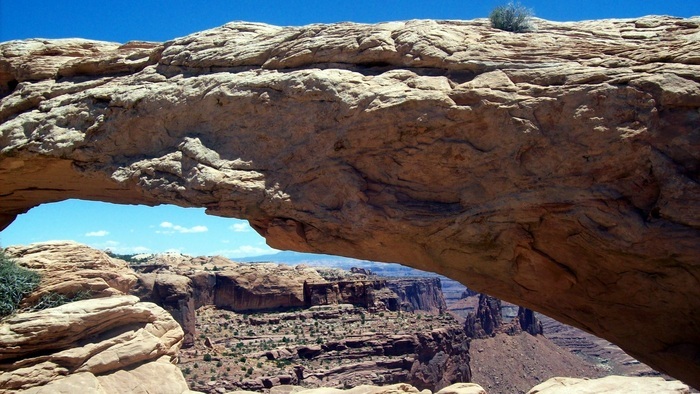 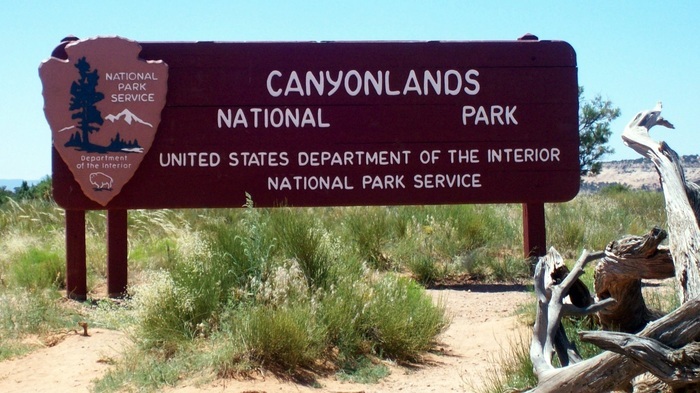 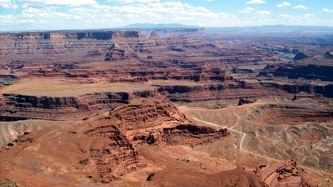 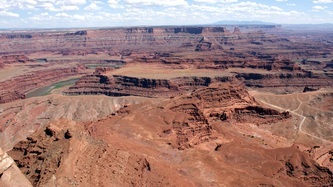 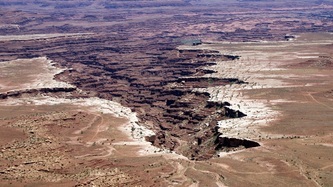 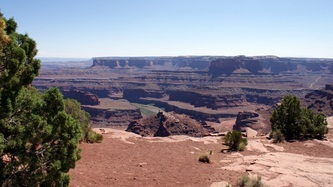 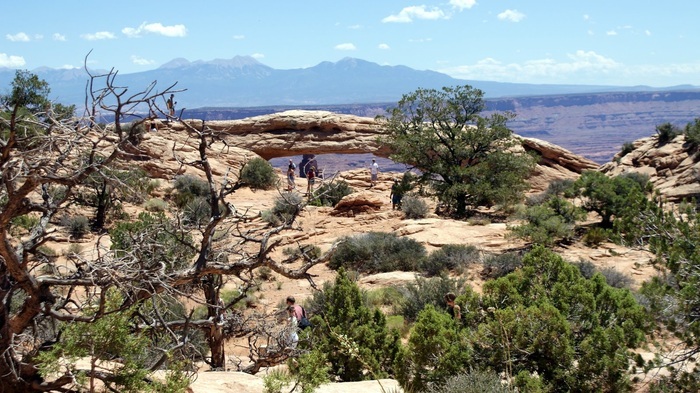 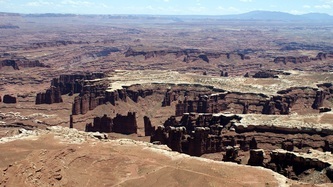 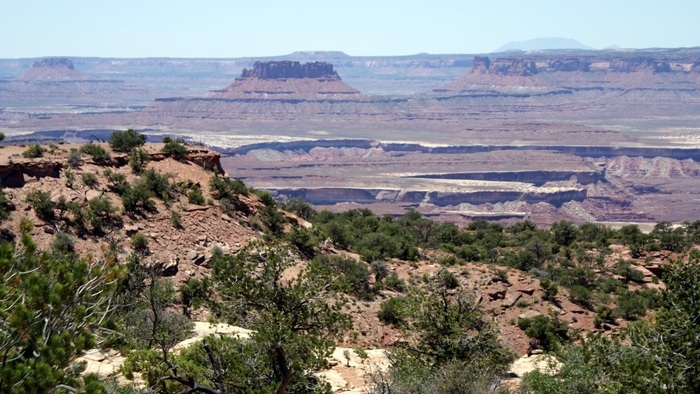 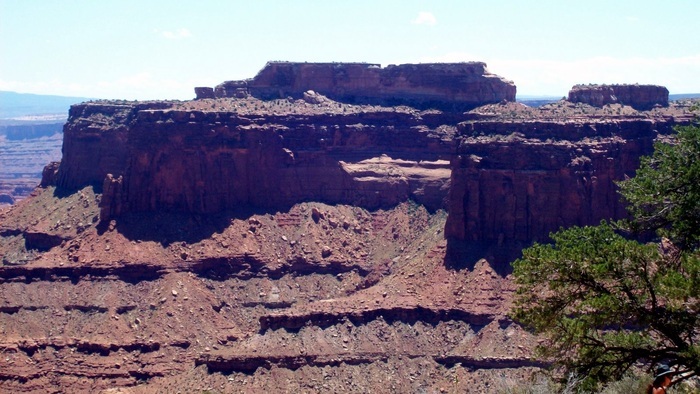 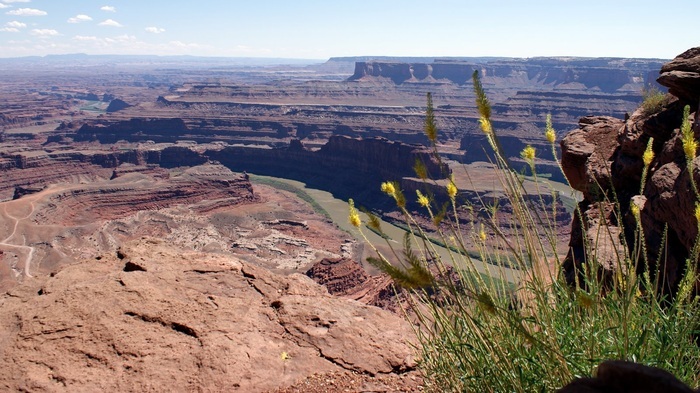 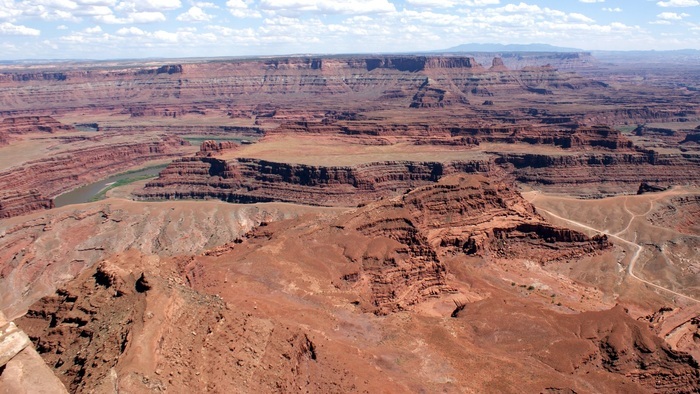 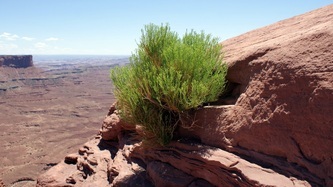 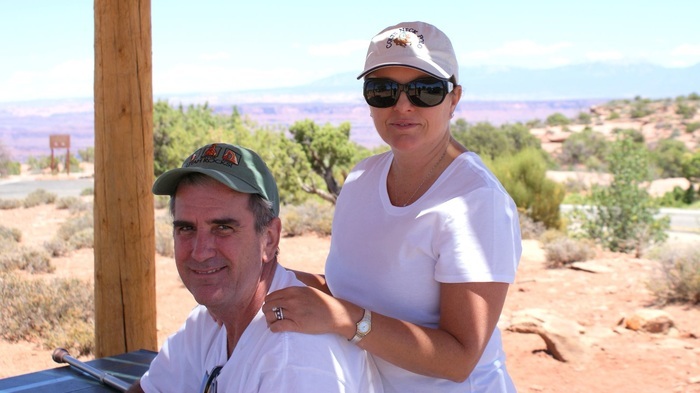 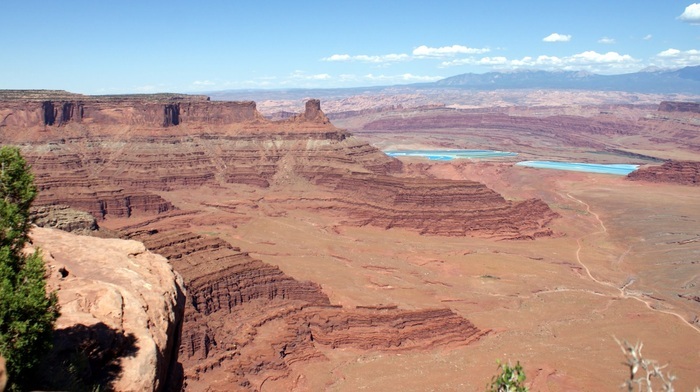 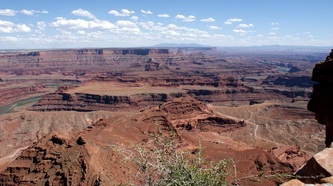 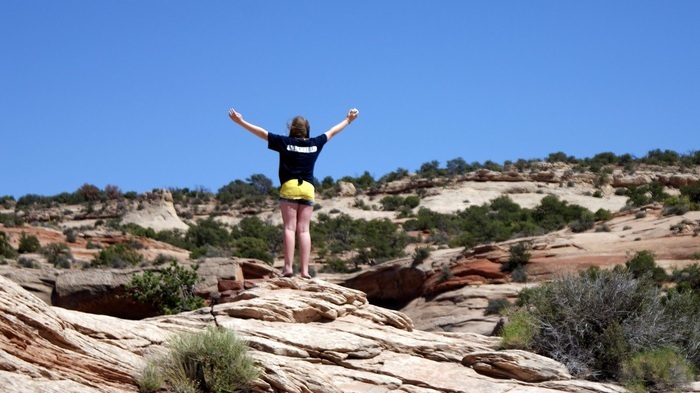 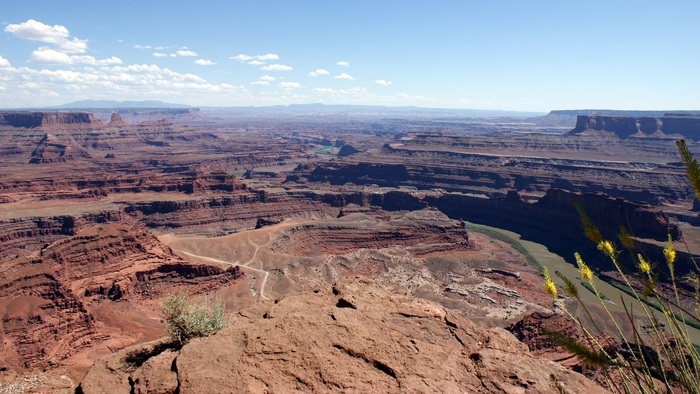 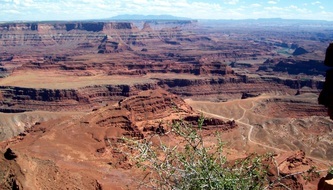 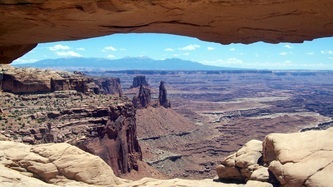 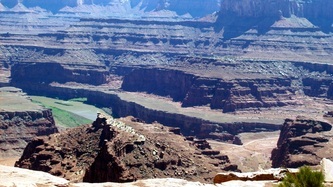 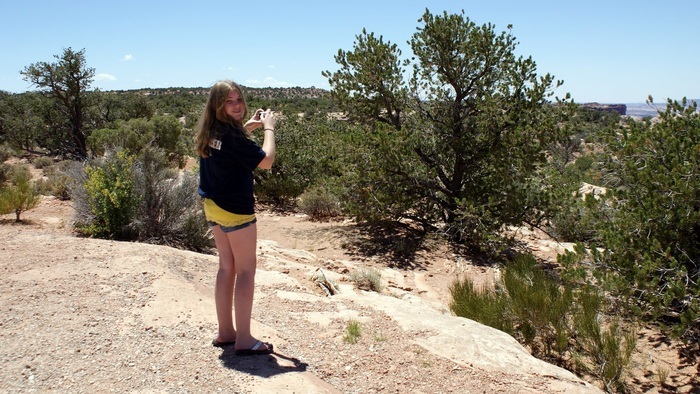 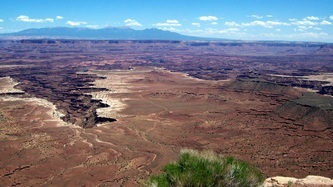 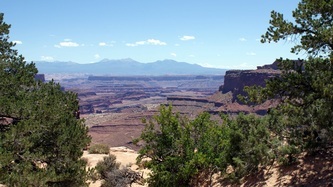 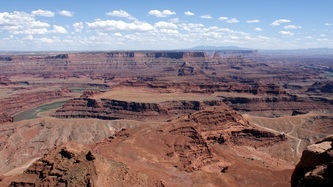 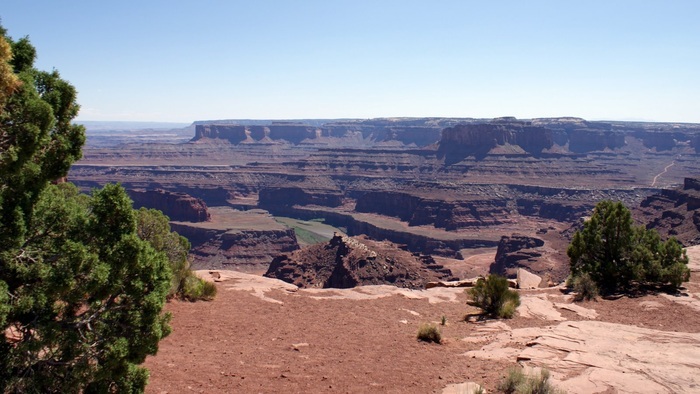 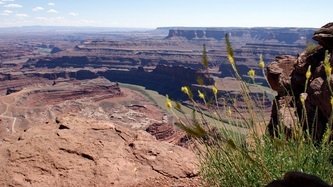 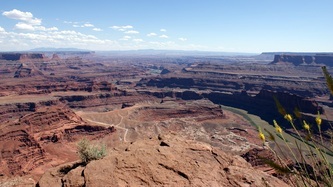 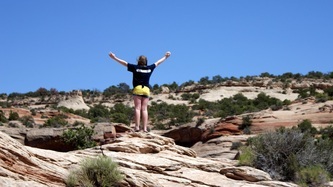 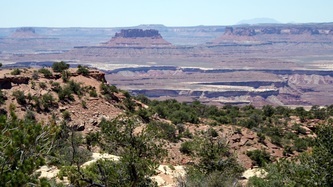 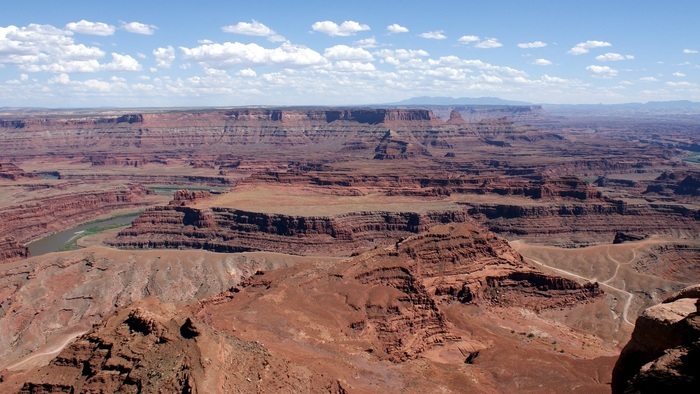 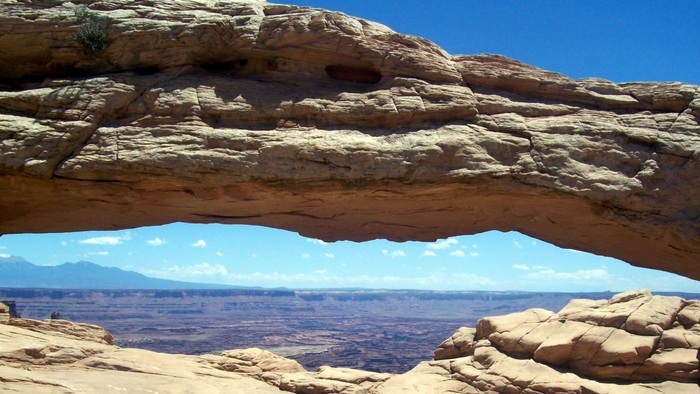 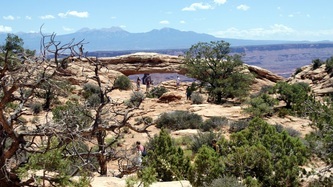 Up and out to Canyonlands National Park, Islands in the Sky District. 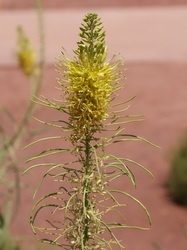 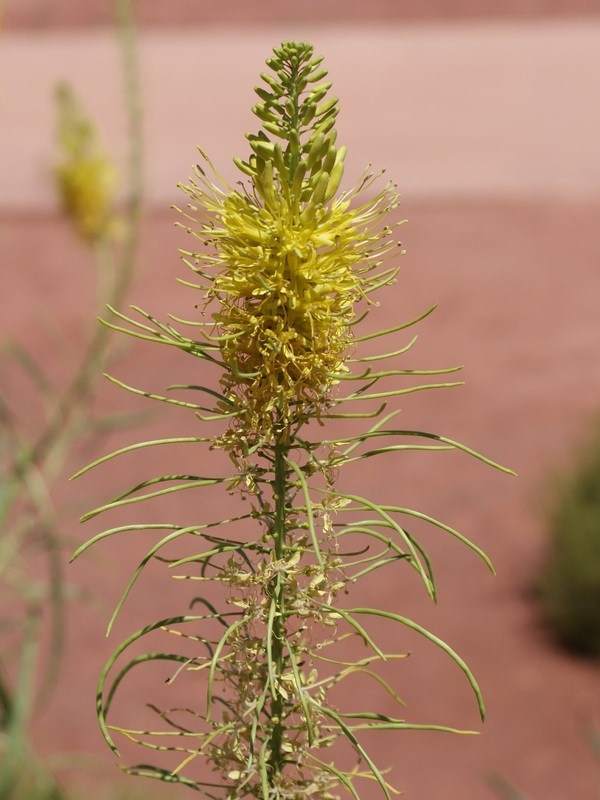 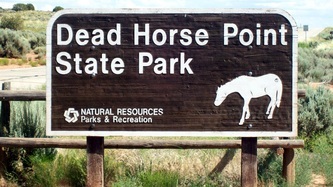 The park has 3 separate areas and this is the most developed, in the north. Up the access road from 191 about 10 miles, more red rocks and up onto the mesa, with long range views of the Colorado and Green Rivers below. 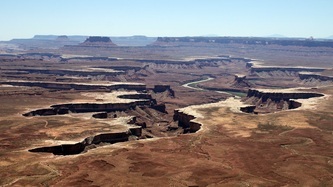 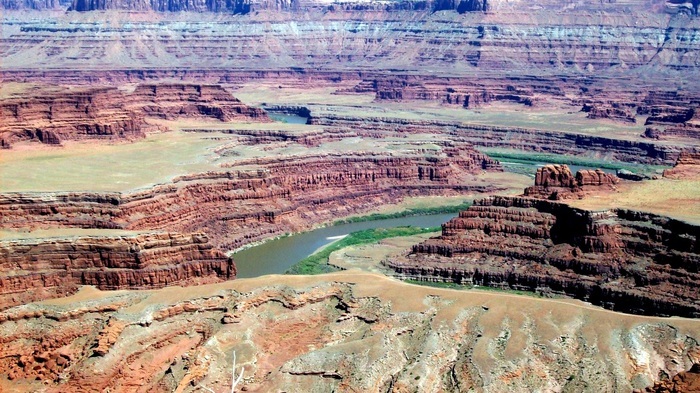 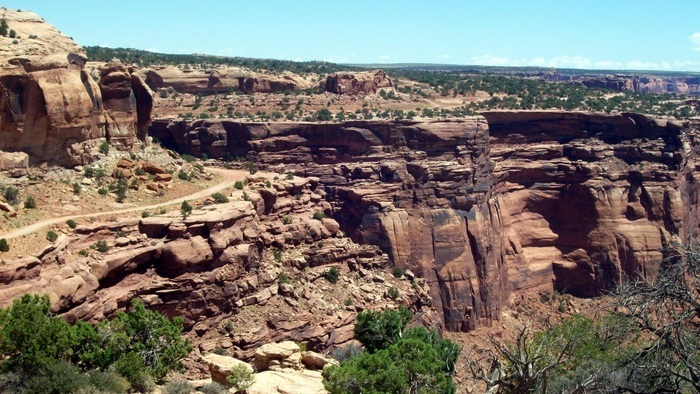 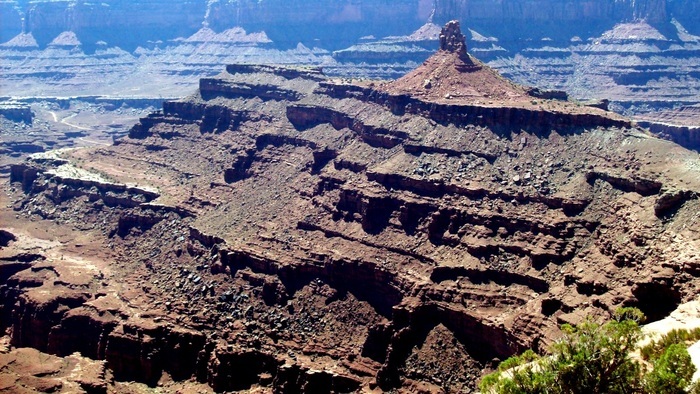 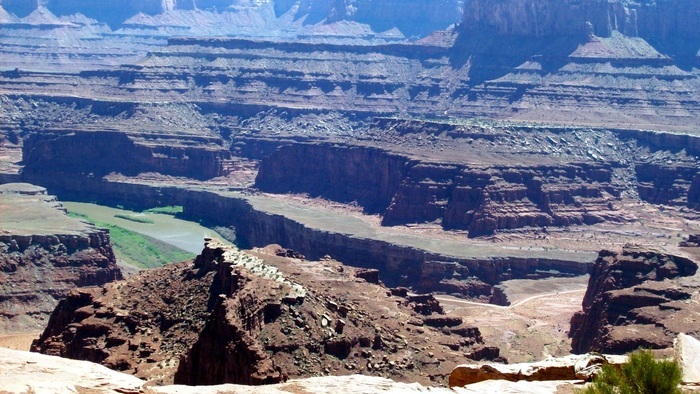 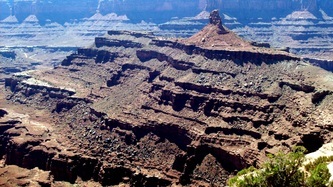 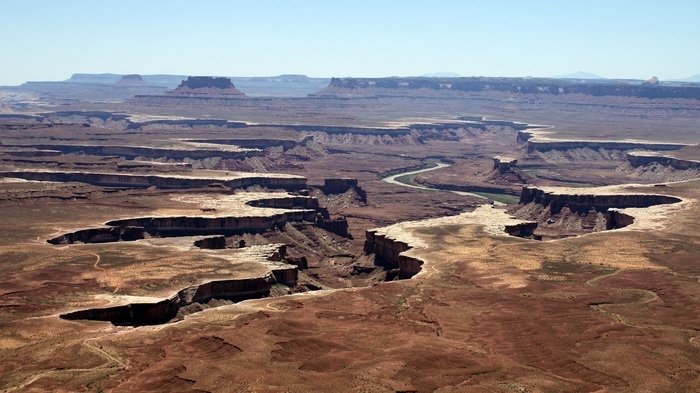 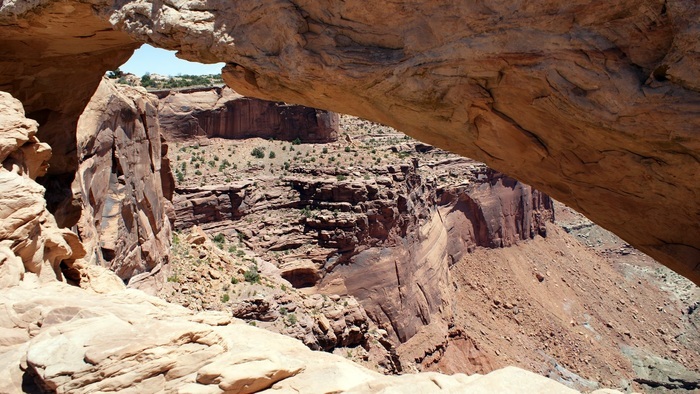 The mesa was essentially cut by these 2 rivers, and many of the views are Grand Canyon-esque. Lots of cowboy and Indian history. 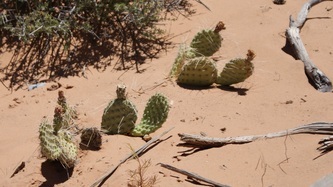 The girls took a couple of walks. 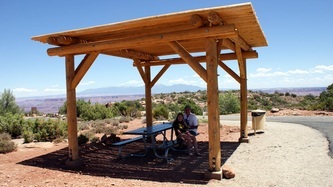 Picnic lunch at the end of the road, at a table. 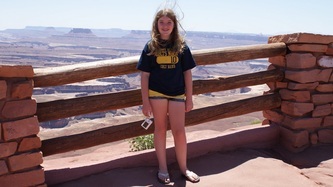 We had a nice and informative audio tour on the iPod. 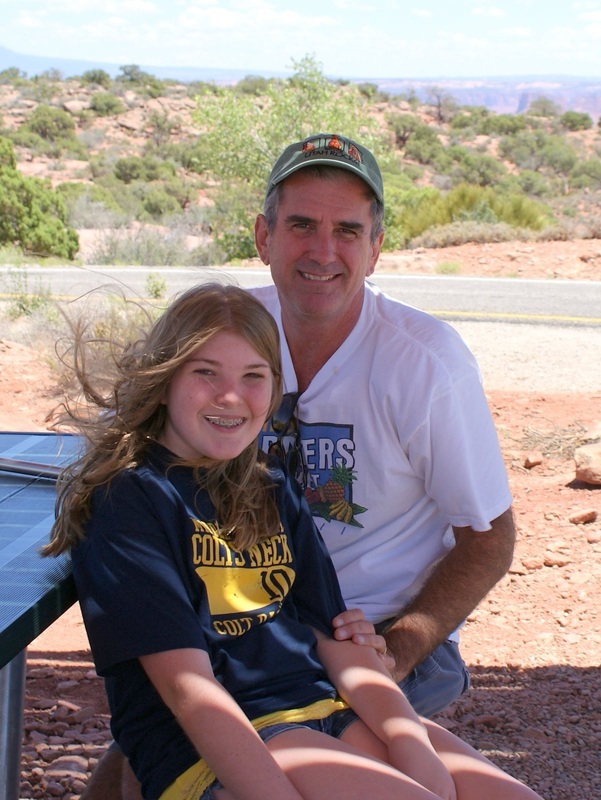 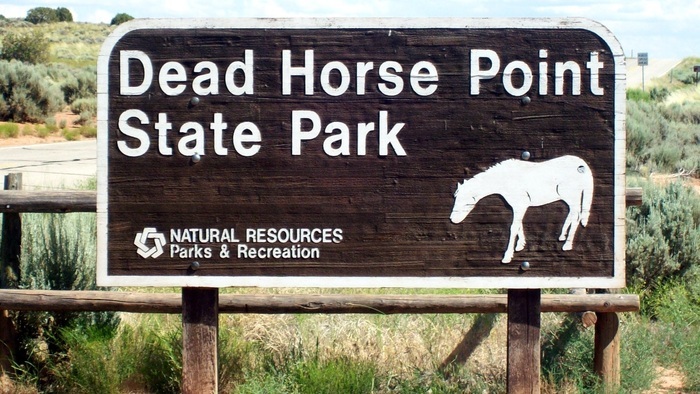 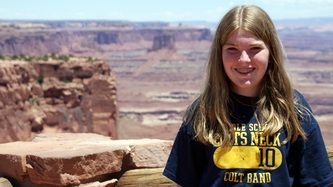 Stopped at Dead Horse Point State Park on the way back. 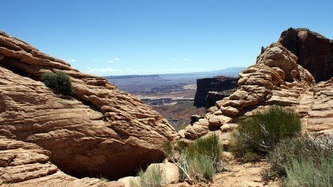 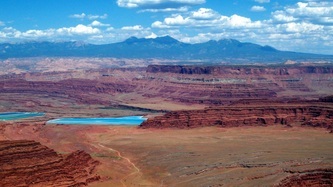 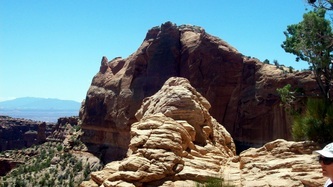 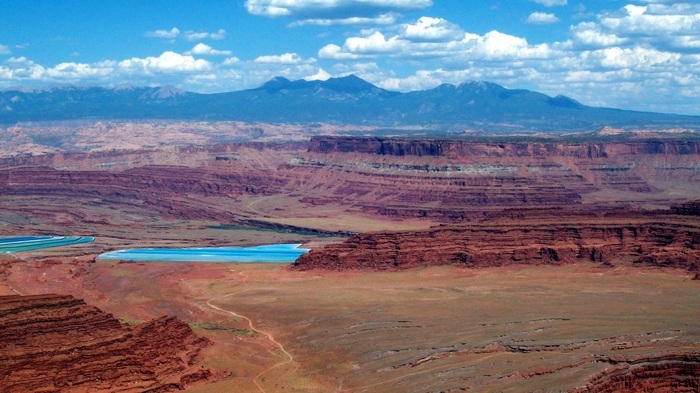 The park has only 3 views, but they are spectacular, mostly of the Green River cutting thru the red rocks far below. We grilled a steak on the patio’s gas grill.